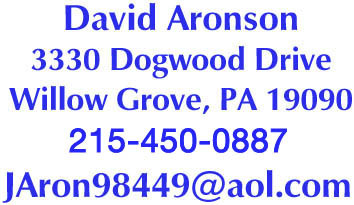 David Aronson has been a professional astrologer for over ten years. He is also a holistic energy healer, working with the modalities of reiki and integrated energy therapy, a professional tarot reader, and a certified hypnotherapist. David uses astrology as a tool for self-awareness and transformation; he will enter into a dialogue with you in order to discover exactly how you are expressing and manifesting your chart in your life and then base the reading on this knowledge, giving you practical and usable information, as well as a deeper understanding and acceptance of your true nature. Astrological readings can help you understand misfortunes in your life and to move beyond them and, most importantly, birth chart readings can give you the objectivity and emotional distance that enables you to see and understand yourself clearly. If not, readings can be done over the phone. Phone readings are $75.00 plus the cost of your phone call. The birth chart, or natal chart, is a snapshot of the sky at the moment you were born, from the spot on earth where you were born. It is a map of your psyche; it shows you the strengths and challenges you were born with, as well as potential skills and resources that remain untapped. A birth chart reading can give you an emotional distance from your own psychology and internal dynamics, enabling you to be more objective and more accepting of yourself. It can also show you possible solutions to long-standing emotional problems and internal conflicts. As the planets continually move through the sky, they periodically affect the planets in your birth chart by making aspects to them. An aspect is an interaction of planetary energies that occurs when planets are within a certain degree of distance or angularity to each other. These periods of planetary interaction are called transits, and can last anywhere from a few days to a few years. A transit reading can show you future areas of change and activity, both positive and negative, and possible future events, both internal and external. While specific events can sometimes be predicted, more often the transit reading shows you general spheres of life and types of energy that will be coming to the forefront. Remember that nothing is written in stone and you always have free will. A transit reading can help you to be better prepared for the future. Readings are done for one year from the time of the reading. Relationship readings can show you the underlying, unconscious, psychological, emotional and energetic dimensions to any relationship, be it marriage, lovers, parent and child, friends, or business relationship. Two techniques are used. 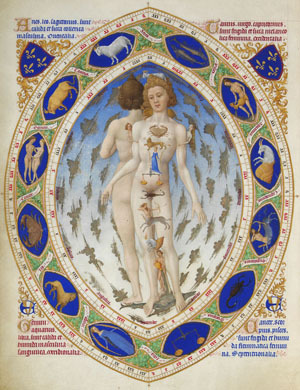 The first, synastry, compares two birth charts to see the areas of potential harmony and conflict within the two individual's interactions. The second, a composite chart, creates a chart that represents the relationship itself, and can show you the long-term strengths and challenges within a relationship, as well as it's spiritual purpose. The charts will help you understand the dynamic between the personal and cosmic energies involved, and thus make more informed choices. The charts are not deterministic. Rather, like maps, they help you to understand the terrain in which you find yourself and the terrain of your own personality and potential. Undesirable traits, destructive behaviors or addictions won't disappear on their own, but if you learn something about your own chart and the larger cosmic cycles, then you will be able to plot your future with more assurance. If you have any special questions, please be sure to include them when you send me your birth data. 3. I will contact you by e-mail to set up a phone appointment. 4. Call me at the designated date and time for your reading, which will last at least 1 hour. Tarot readings are a psychological tool for self-understanding. They are a way to speak to deeper parts of your mind; your subconscious. Tarot readings allow you to gain clarity in whatever areas of life you feel confused or unsure. They can give you more information about problems and issues than your conscious mind is able to presently perceive. You can ask the tarot specific questions or for broader perspectives on more general issues. I am not a fortune teller, but I can predict a likely outcome based on the way current events are moving as shown by the reading. The future is fluid, not fixed, and can always be changed. I have had several tarot readings and several astrological consultations with David and I am always amazed by his insight and depth of understanding. Not only is his technical knowledge of astrology impressive but he seems to possess a certain connection to the unseen world accessible through the movements of the planets and the symbols of the tarot. In addition to these metaphysical skills, David also possesses a profound understanding of human nature and his insight is as much a psychological analysis as it is an exercise in divination. He is also compassionate and honest. He does not attempt to pass judgment on his subjects or their individual situations but he does not keep truths hidden simply because they may be difficult to accept. Whether you consult with David regarding your natal chart or receive a tarot reading, you will be rewarded with an invaluable analysis of your situation that is part divine inspiration and part human understanding. My reading with David Aronson was possibly the most insightful reading of my chart I've ever had, with great insights into my karmic journey and the energies here to protect and assist, as well as the potential challenges and rough spots. It was definitely a thorough reading. He answered my questions about my own life as well as my relationships with my son and his father. One thing he did not do was tell me what he thought I wanted to hear. I've seen many professional astrologers, but none were as helpful about the "real issues" in my soul's development. The observations about what i need to deal with BEFORE I'm ready for a viable partner were right on point and in line with things which are actually occurring in my life. I feel that david is that rare thing; an honest astrologer. Not unlike finding an honest mechanic! I transcribed the bulk of our reading and will revisit it as encouragement and wise counsel for a long time to come. 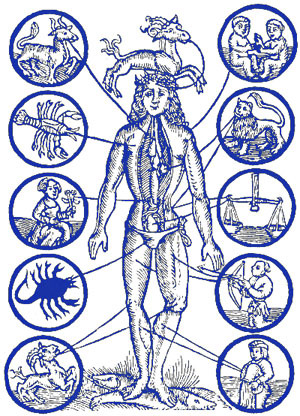 I was thrilled to have my astrological chart done by David. He was thorough and professional. David took the time to explain all the details and discuss the connections to my life. I'd never had my chart done and didn't have anything but a general knowledge. I've shared his reading with my friends and they agree that he was right on the mark with most every detail! It was enlightening to hear him confirm thoughts that I have about the direction of my life. Thank you for your accurate astrology reading. The knowledge you exhibit about the planets and stars is impressive. Knowing I have obstacles coming my way, you have comforted me and validated my own intuition. When the times approach I remember what we spoke about and try to make the correct choice. So far so good. Thanks again. I highly recommend David Aronson for tarot readings for anyone who has from the slightest to the deepest interest. I was extremely impressed by his keen intuition and insight. He was honest, genuine, and professional. My experience was very positive, enjoyable and very enlightening. His thorough, detail-oriented and introspective reading gave me a great deal of truly valuable information that will help me through my life and future experiences. As someone who has had many tarot readings, both good and bad, I would recommend David Aronson. During my reading he was very professional, honest, thorough, and intuitive. I walked away from the reading with insight that is currently, and will continue to be, very beneficial to my life. I would recommend his tarot reading to friends, family, and anyone looking to gain insight into an area of their life. David has done my birth chart, transits, and several tarot readings over the last year. His readings and interpretations have been not only accurate and insightful, but they have been very helpful to me as a guide for my choices. I highly recommend him to anyone.